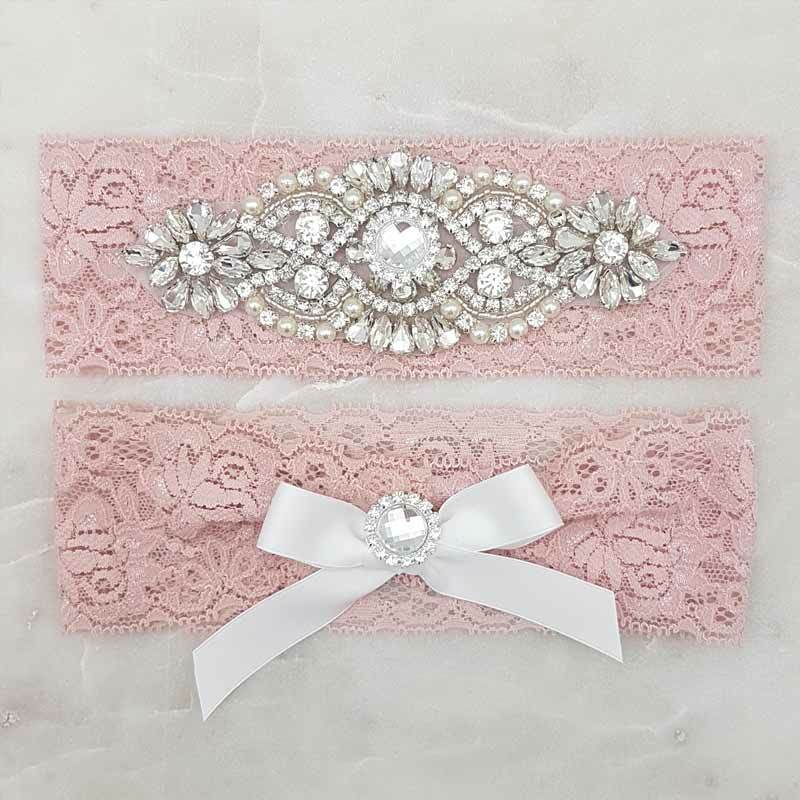 Our ‘Meghan’ garter set is one of our favourites, made from stretch lace with a stylish genuine crystal, rhinestone and pearl detailing. 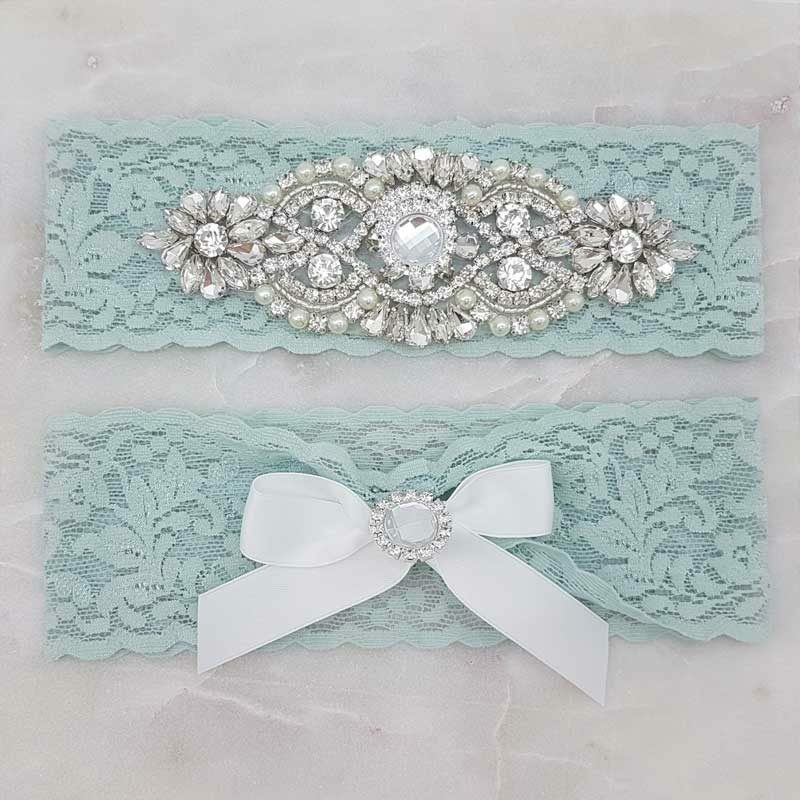 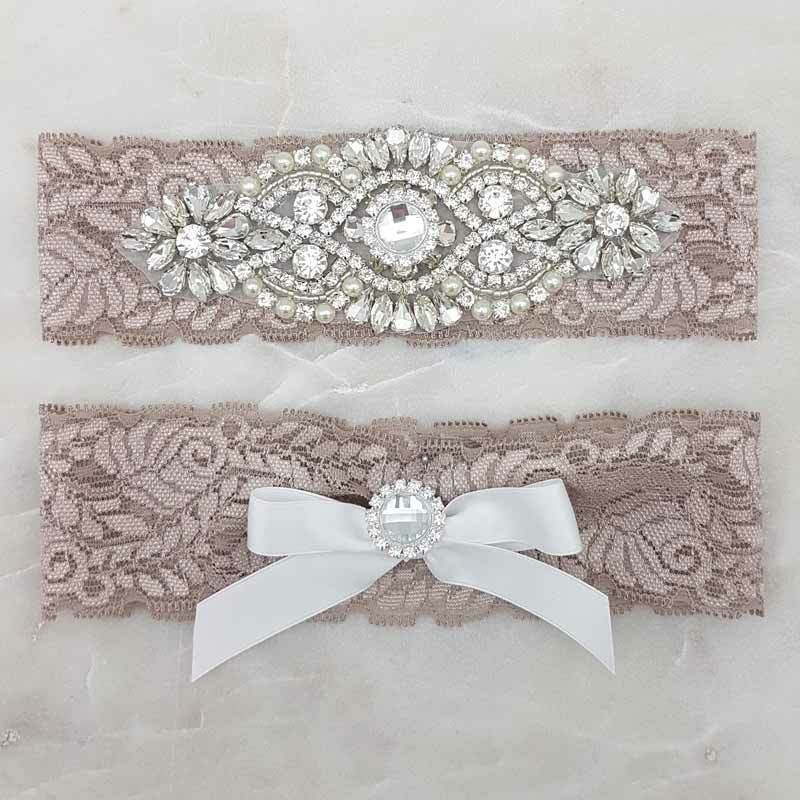 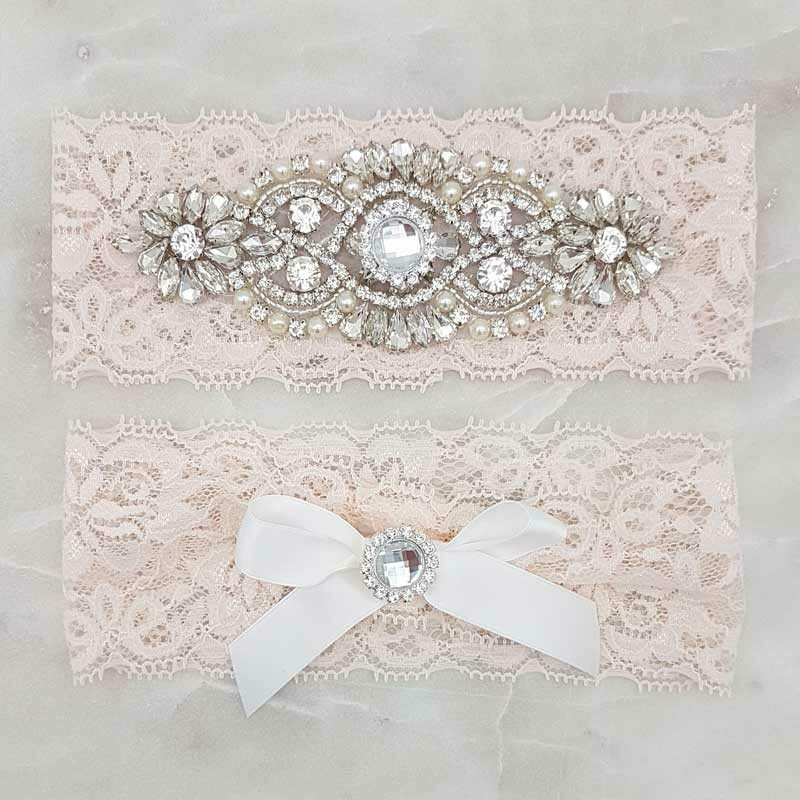 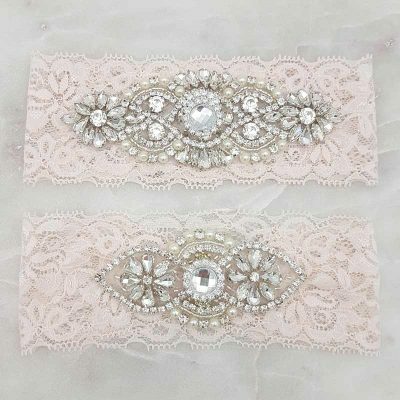 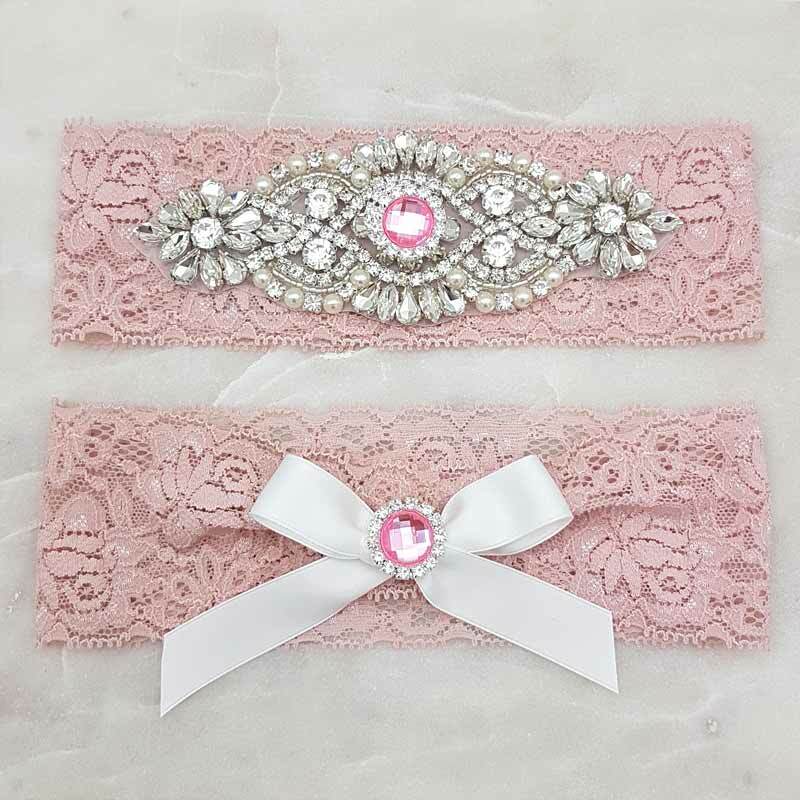 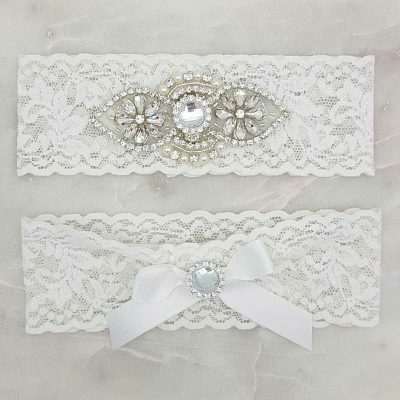 The Keepsake garter features a bold silver crystal, rhinestone and pearl applique 13.5cm wide x 5cm tall while the throwaway garter features a gathered centre with a double sided satin ribbon bow with an rhinestone button to detail. 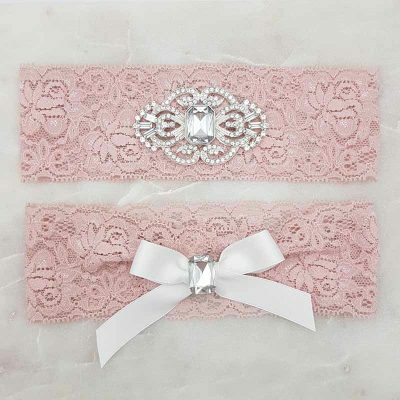 Available in Blue, Mocha, blush, dusty pink and dusty pink with pink rhinestones.